A change of era, and a change of pace... I've seldom consciously searched for Bollywood soundtracks from before the introduction of (modern) Western elements - mainly because it's the resulting mix of that which appeals to me most - but sometimes sellers were willing to throw some in for a buck or two a piece, and I was usually game. Of which I'm glad, because there really is some good stuff to be found from the 50s. 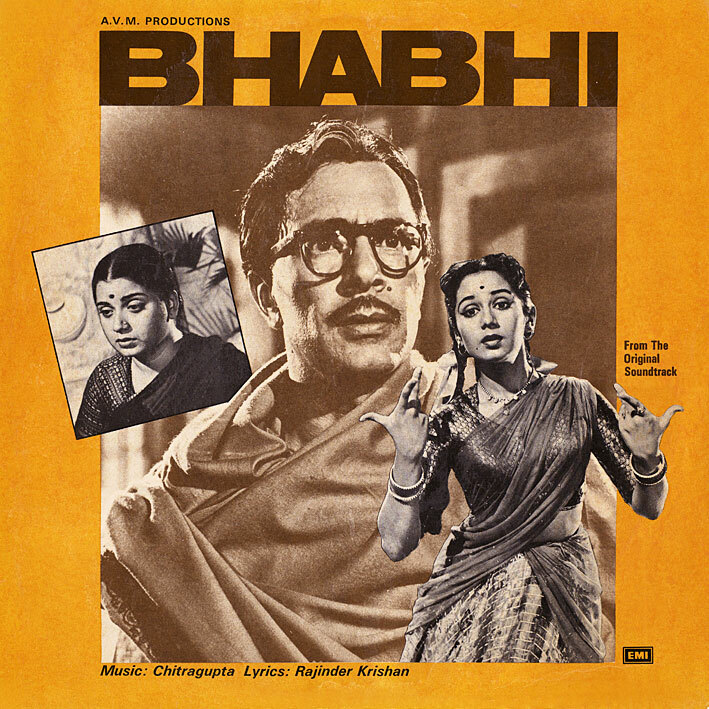 'Bhabhi' for instance, while hardly the most interesting score from the period, has a certain nostalgic feel to it... songs such as 'Kare Kare Badra' and 'Chhupa Kar Meri Ankhon Ko' exude an old world charm that I kind of like. Well worth a listen I think. your blog is so great. thank you!